Don’t Wait to See What Fresh Produce is Available at the Farmer’s Market… Plan your Meals in advance by joining our new Yahoo Group & Orders Database! 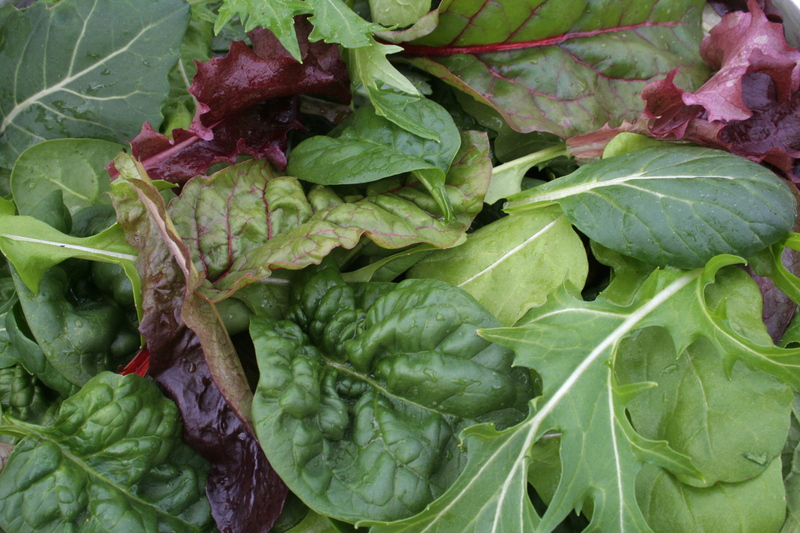 Introducing a new way to order produce for pick up at 3 Farmer’s Markets each week. Join our Yahoo Group and create and a standing order or place an order as you wish. Don’t wait till market day to see what produce is available. Plan your meals ahead of time by joining the Ardfield Farm Yahoo Group and visit our Available Produce Page to order what’s fresh. Visit the the new page on our site, Yahoo Orders Database, under the Looking for Year Round Produce tab and the CSA tab for information on how to join the yahoo group and start picking up fresh produce at a market near you! Ardfield Farm is now listed in ASAP’s online Local Food Guide! Look for us in the print version this spring as well. Last Wednesday night we had our first inch of snow for the year. Although it didn’t last very long it was beautiful. 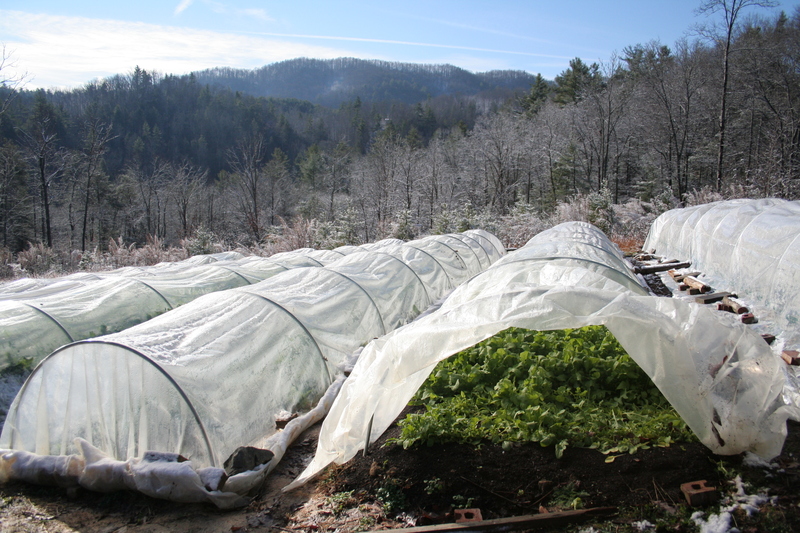 As you can see Aaron has built low tunnels to protect the Greens and Roots from the cold, frost, and snow. We purchased a really neat tool that allows you to bend 1/2″ EMT (electrical conduit) into 4′ hoops. After bending the hoops, Aaron dug holes to insert the ends of the hoops into. Next he packed the earth around the ends of the hoops in the holes and the tunnels were ready for covering. Right now we are using a layer of UV resistant plastic, held down by rocks, bricks, and logs to keep everything cozy. The morning after the snow, I went out to check on our Greens and Roots. A nice wave of warmth and humidity exited each tunnel as I opened the ends, and fogged up my camera lens. 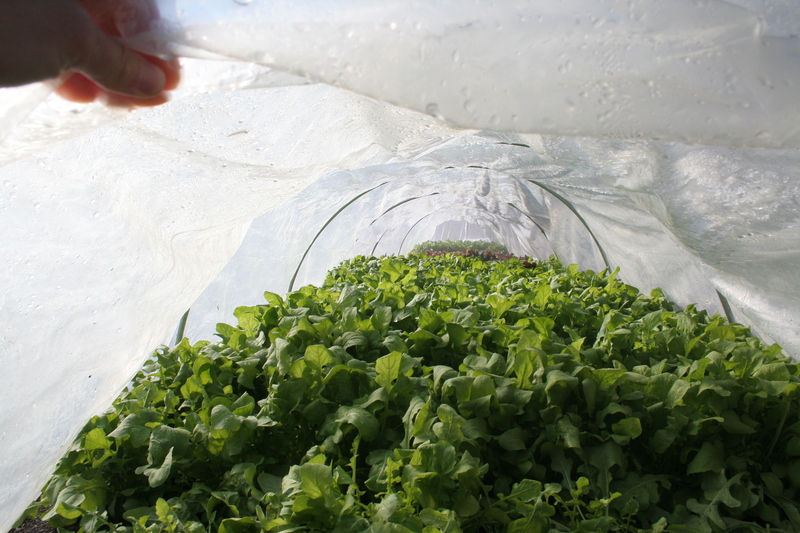 After my lens cleared up I was able to get a shot of the salad greens in the tunnel. 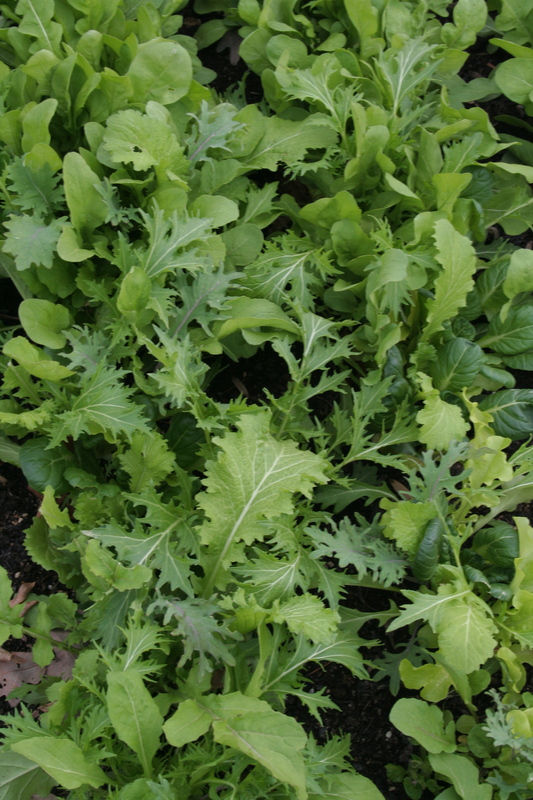 You can see the Arugula in the foreground, followed by the Rouge de Hiver (an Heirloom purple lettuce variety), Lola Rosa Darky (another Heirloom purple lettuce), and Mesclun Mix. Next I visited the Beets. 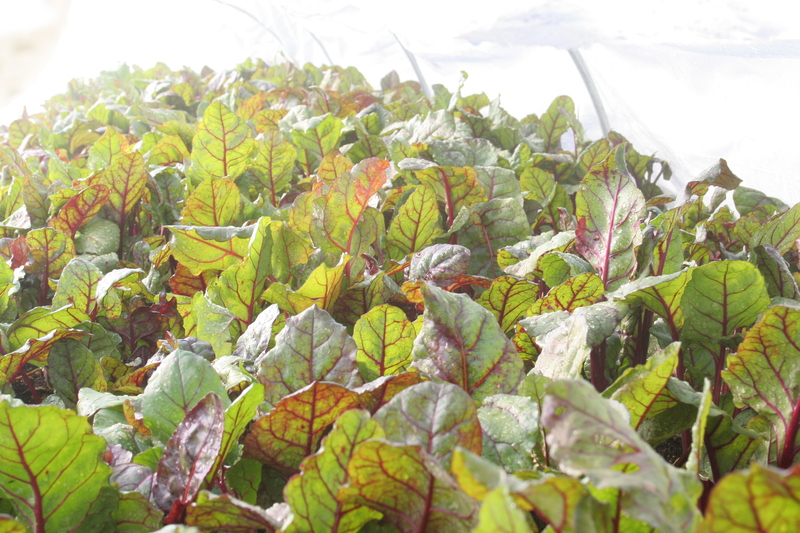 We have two Heirloom varieties… Detroit Dark Red and Golden Detroit. 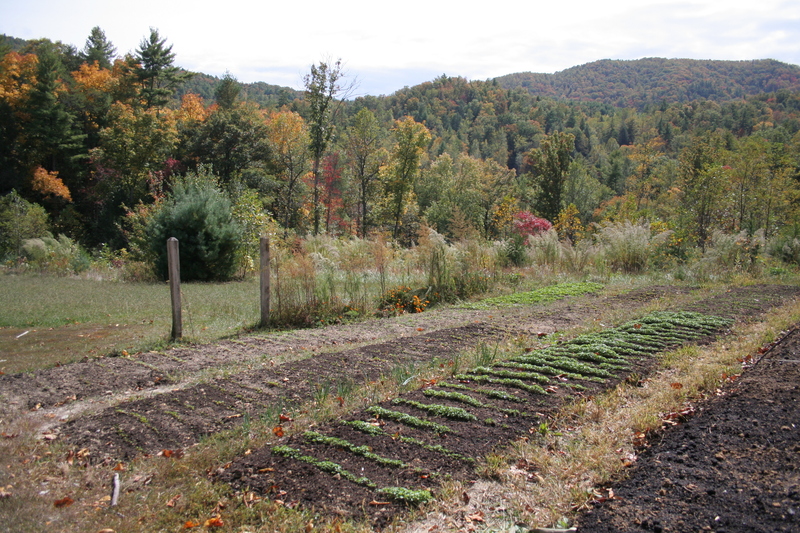 The Golden Beets are out of site in the photo below. 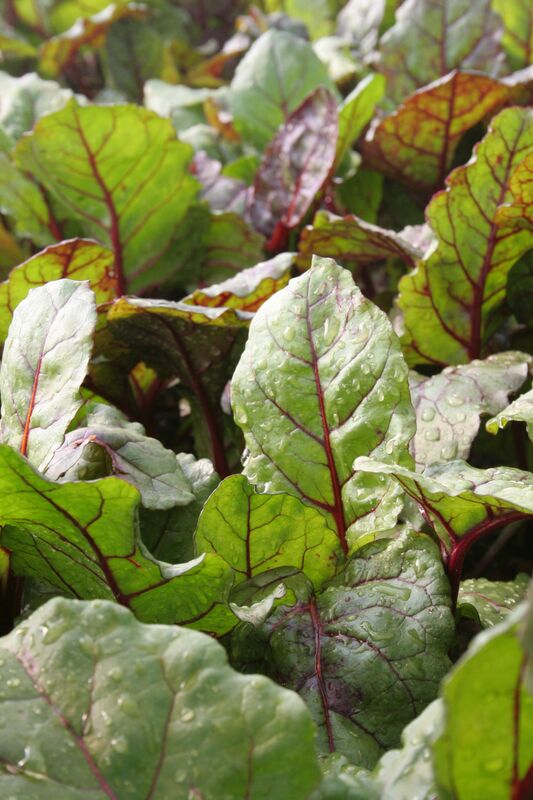 The Beets were so beautiful with water droplets shining on the leaves in the sunlight, their roots slowly growing below the earth. 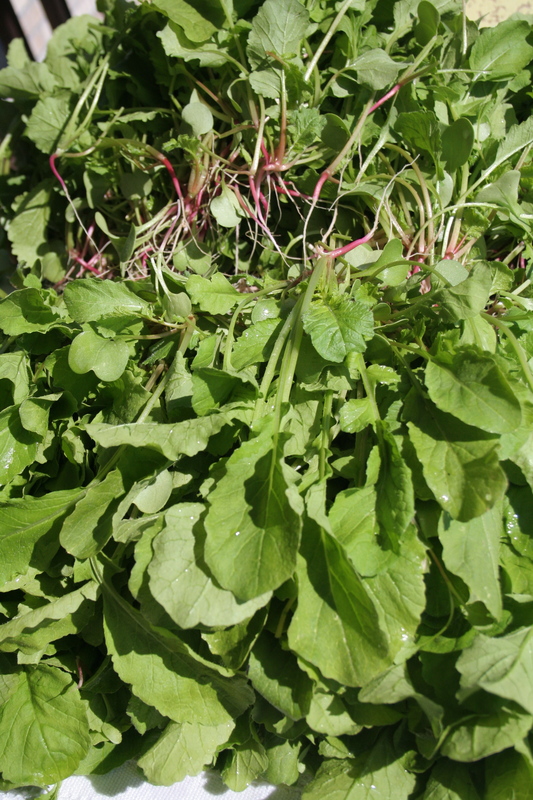 Come join the Radish variety taste test and pick up a bag of Greens this week. We are entering the final 2 weeks of the Weaverville Holiday Tailgate Market at the Community Center on Wednesdays, 2-5PM. We will also be vending tomorrow, Wednesday, December 14, at the Marshall Community Center on Blannahassett Island in the French Broad River from 11-1PM as part of our Homeschool Co-op’s Holiday Swap. Also keep an eye out for Ardfield Farm Produce this winter at the Madison County Extension Office Winter Market, starting in January. More details to come. 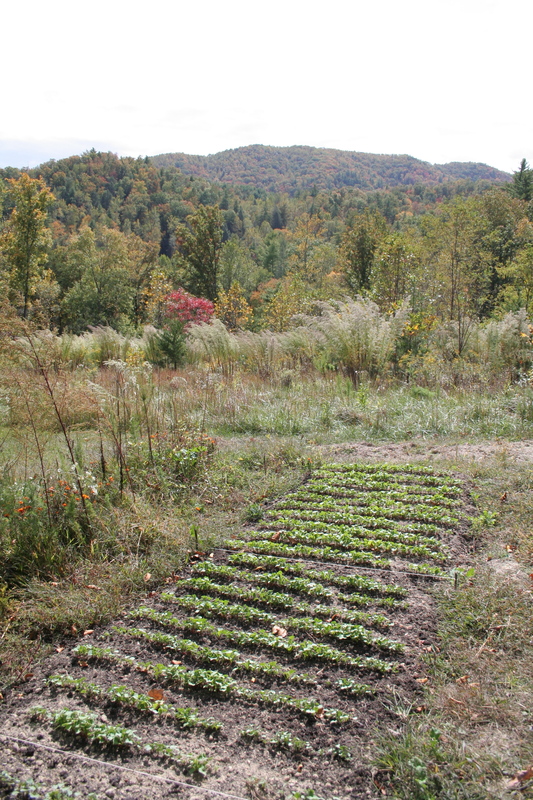 After two years of driving from Baltimore, MD to Free Union, VA to tend our garden we are now able to step out our front door and walk to our rows. 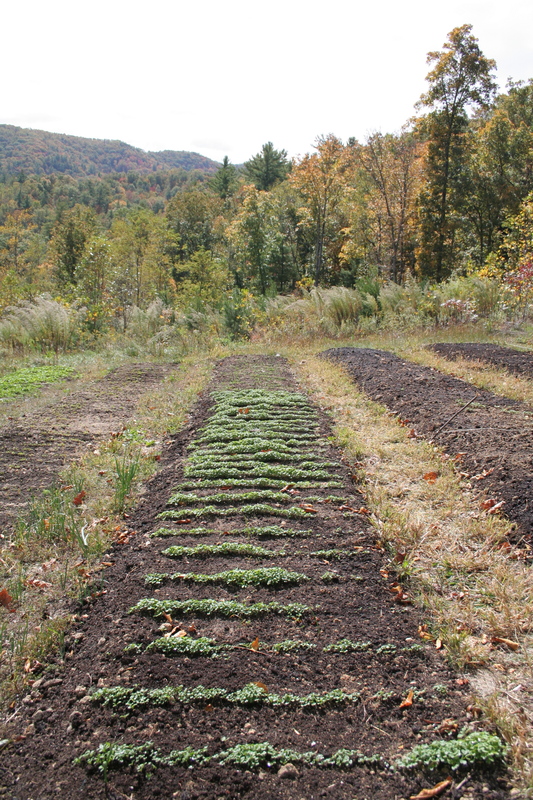 We have been settling into the beauty of the mountains since late August and things are getting under way. Aaron has been busy double digging our Fall beds and we put our truck to work moving loads of organic mushroom compost from the giant pile on the driveway. After spreading a layer of compost on each bed we added a bit of high Nitrogen Mexican Guano, Greensand, and Rock Phosphate to help build the soil fertility. Our Friend, Dana, came by to help feed the soil and as you can see in the picture above we have had help from our little Dancing Fairy too. 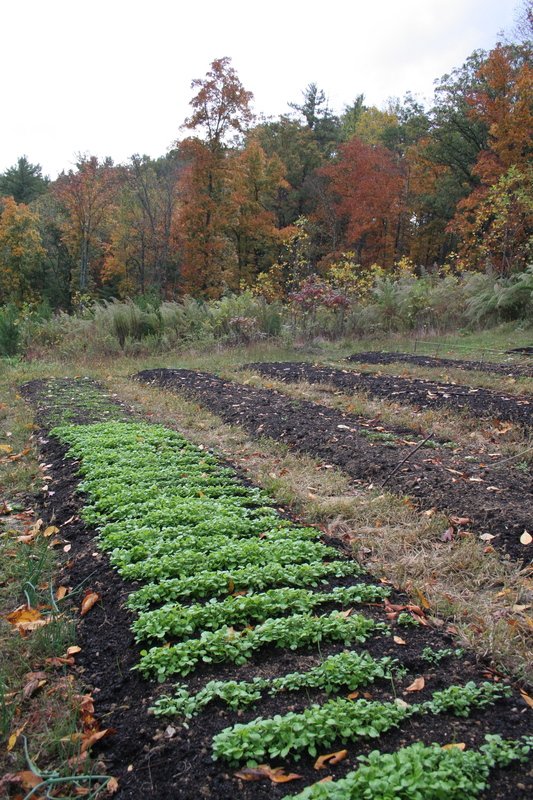 It has taken a lot of energy to feed each bed, but when you compare the native soil (right row above) to the amended beds (above, left rows) it is all worth it. 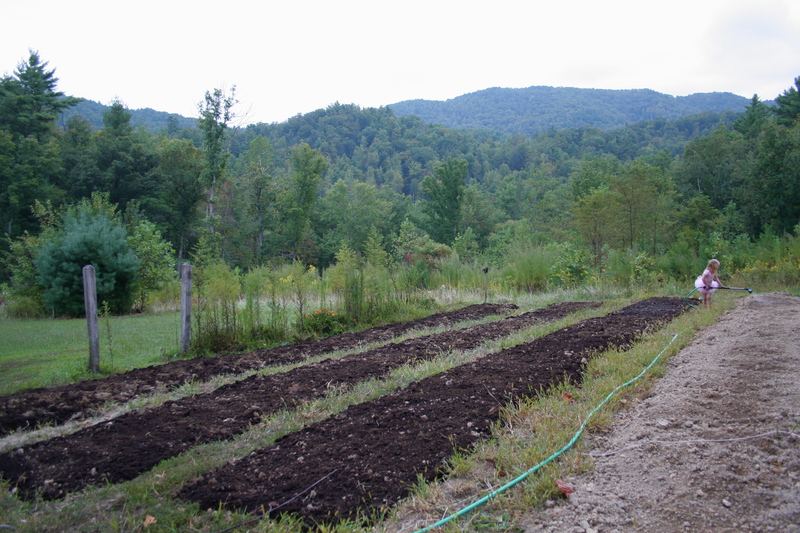 The hard work building the soil now will continue to pay off in years to come. The Fall colors have started to arrive and with the colors have come the emerging seeds. 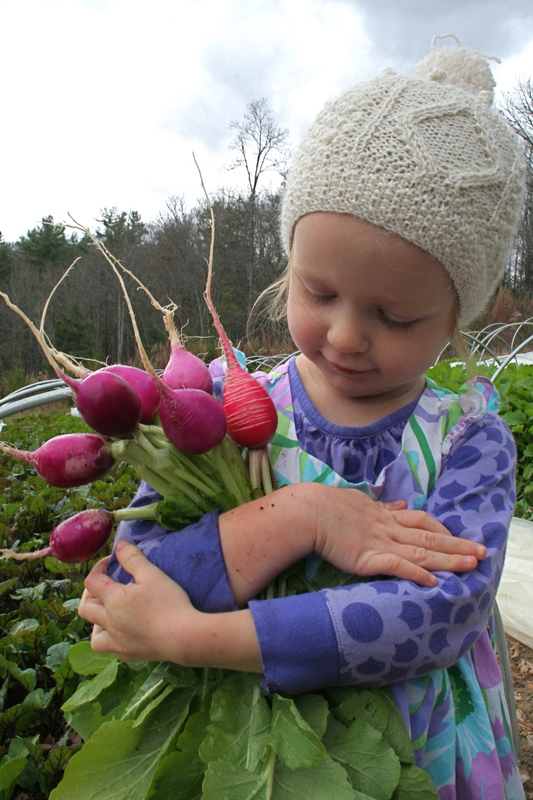 The most vigorous by far have been the radishes… with lovely names… China Rose, Purple Plum, and Watermelon. 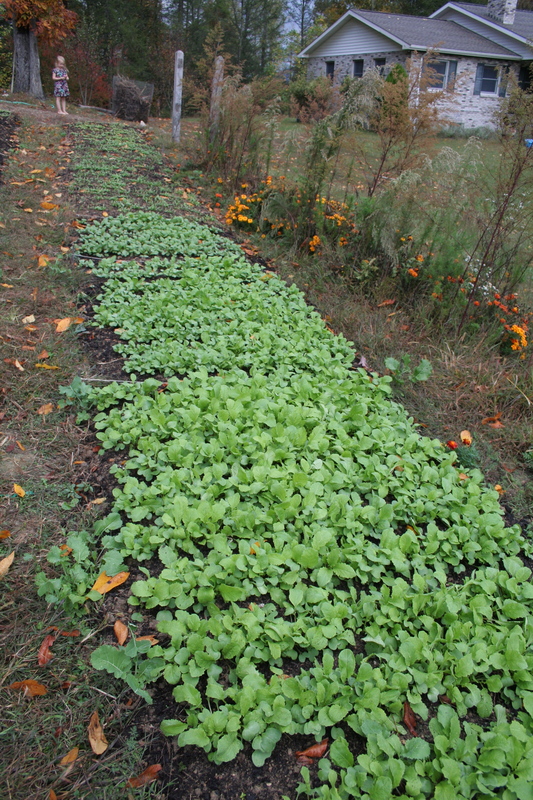 The Spinach is starting to poke out of the earth too. 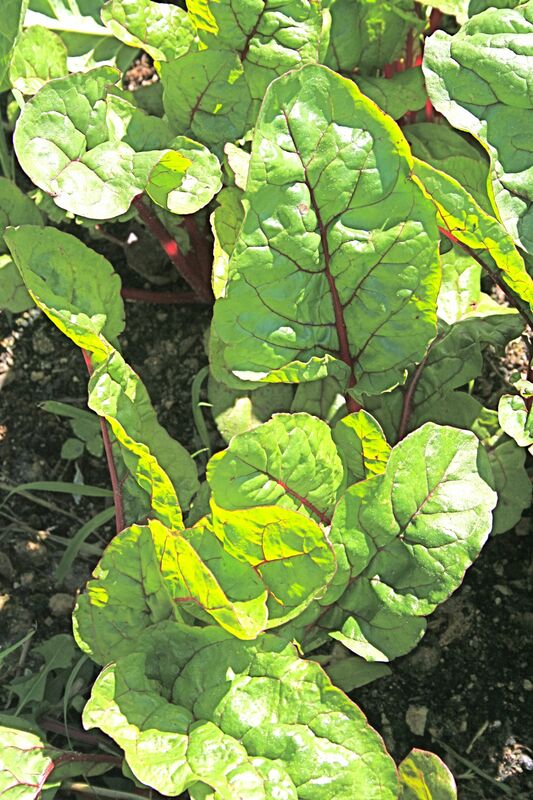 Golden Beets, Detroit Dark Red Beets, Ruby Red Chard, Seven Top Green Turnips, Kale, Collard Greens, Arugula, Lettuce, and Carrots are soon to follow.